At Calgary Gold we purchase all gold, silver, diamonds. This includes jewellery (ranging from broken to brand name), coins, bars, flatware and loose stones. We offer free, no-obligation appraisals and – if you decide to sell – immediate payment. What Happens to My Gold? When Calgary Gold first opened 10 years ago, we melted and refined everything we purchased. Now, use many channels including resale and auction in order to increase you receive as payment and the range of what we buy. We still refine most of what we buy, and our buying prices for these items are based on the live price of gold. We also resell gold bullion (which include both coins and bars) in store, and pay higher rates for these items based on their resale value. For some items, like for certain Canadian gold and silver Maple Leaf coins, we pay even higher than the market value of the gold or silver. We offer great selling prices for gold and silver bullion if you are interested in buying. For jewellery that contains diamonds or other gemstones, we are often able to offer a premium price. This price depends on the size and characteristics of the gemstones as well as the possible resale value of piece. Also, for in style vintage, antique, and brand name items this premium price can be significantly above the melt value of the item. Our collection of jewellery and loose stones is available online at 100ways.com. Viewing the collection online can also give an idea of what items we resell, which helps give an idea of the type of item we can pay a premium price for. All Canada Gold buyers locations are proud to offer among the industry’s highest cash payouts for your old gold jewelry. Calgary Gold is a BBB A+ rated dealer, making it easy to know where to sell your gold. Our offices are conveniently located and offer free, no-obligation testing and evaluation of your gold jewelry. Just drop in to either of our Calgary locations and we will provide you with a free quote on your items, backed by our 120% price guarantee. Whether you have broken gold and loose diamonds, or a beautiful piece of jewellery you don’t want anymore, at Calgary Gold we are specialists in maximizing the value of all jewelry. We refine most of the jewelry we buy, but certain pieces have more value as an intact piece of jewelry than just the material content. For those items, we pay a premium rate and resell the items through our partnership with 100ways.com. That means we can always pay you a fair price for your gold jewelry. Browse through the different types of items that we purchase listed below to learn more, or visit your nearest Canada Gold location. Gold rings are among the most popular types of gold jewelry available. Gold rings are worn by both men and women in many different cultures. 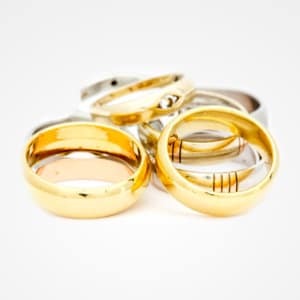 As a source of precious-metal content, gold rings can add up quickly, as many have fairly substantial weight, especially mens rings, and are often 14k or higher purities of gold. All Canada Gold locations are buyers of all types of gold rings, from white and yellow gold mens rings, 14k gold rings, women’s white and yellow gold rings, and even gold rings that are set with gemstones and diamonds. Remember, if you have a gold ring with a diamond that is over .25 carats, it is best to visit a Canada Gold location with a gemologist on staff so that we can accurately grade and evaluate your diamond. All Canada Gold locations are buyers of gold jewelry even if they have gemstones set into the gold. This is a question we are asked quite often, and while we aren’t able to buy most gemstones, we have methods of determining their weight and evaluating the gold content on its own. This also means that if you really want to keep a particular gemstone and just sell the gold, just let one of our associates know, and they will do their best to remove the gemstone without damaging it. If your gold jewelry is set with diamonds, we are happy to leave them in without deducting any weight, or if the diamonds are 0.25 ct or larger, we are able to set up an appointment with our gemologist and make you an offer to buy your diamond as well. 14k gold is among the most popular purities of gold available. 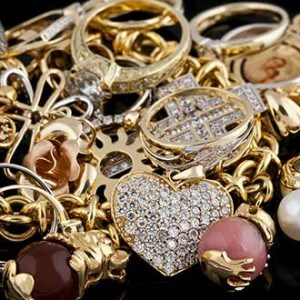 Most gold jewelry is stamped with its purity, which is commonly referred to as “karats”. A karat is one part per 24, so 14 karats is 14 parts gold and 10 parts other metals. This also makes it 58.5% gold, which brings us to another way to identify 14k gold. A typical european stamp on 14k gold would actually read 585, which means 585 parts of gold per 1000, or 58.5% gold. So, to summarize, if you think that you have 14 karat gold, be sure to look for one of the following hallmarks: 14k, 14kp (meaning 14 karat plumb), 585 or even 583. 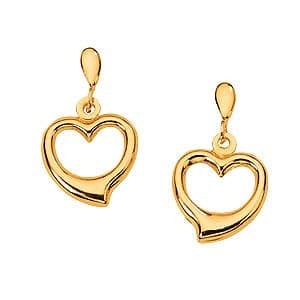 All Canada Gold buyers locations are pleased to offer industry leading payouts for white and yellow gold earrings. Because gold is such a heavy and dense material, gold earrings are usually fabricated to be very small or hollow so that they are lightweight and comfortable to wear. This is why it is important to make sure you are receiving the very highest payout per gram for your gold earrings. Despite their light weight, and relatively low value compared to other gold jewelry, gold earrings are one of the more common items that we see. The reason for this is many people will lose one earring and not really have much use for the other one. They are like socks, sometimes you can find one but not the other. If you have any mismatched earrings, just bring them into a Canada Gold location for a free estimate, they’re sure to be worth more than your old socks! Gold necklaces and pendants are worn as fashion and religious jewelry all over the world. Gold necklaces are commonly made from white, yellow, rose gold and even tri-gold which is a lovely mixture of the three varieties. Purities range from 8k, 9k and 10k all the way through 14k gold and 18k gold. 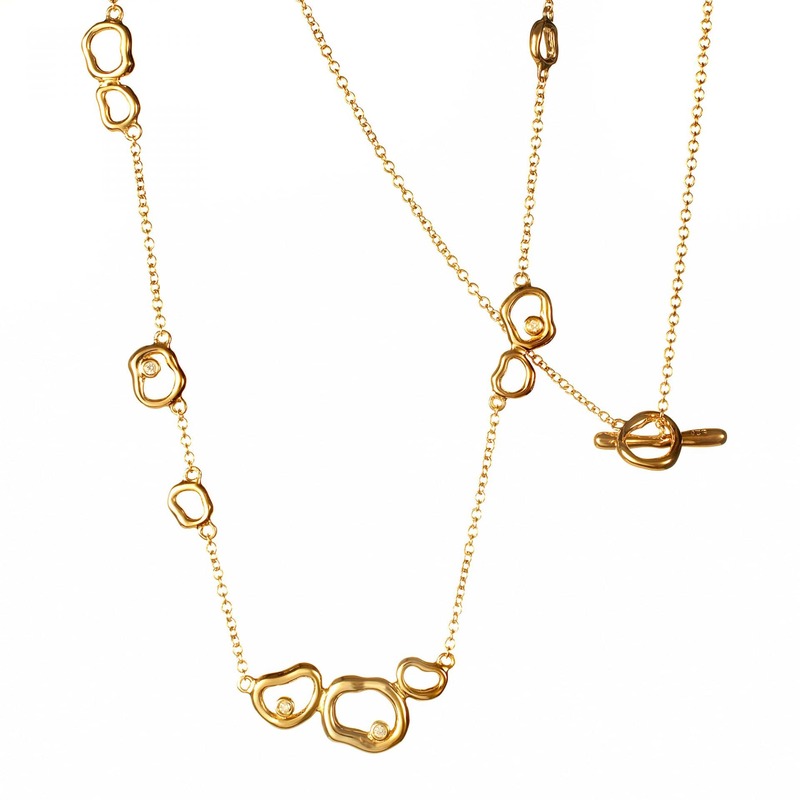 Beyond that, gold is extremely soft and not very useful as a necklace unless it is fabricated with large thick links. All Canada Gold buyers purchase gold necklaces and pendants based on their weight and purity. For example, a 14k gold necklace contains 58.5% gold (14 parts per 24) and would be worth approximately 41% less than pure gold with the same weight. 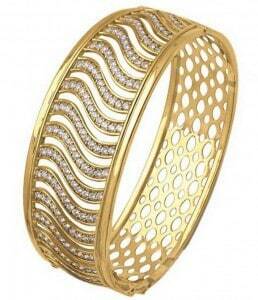 Gold bracelets and gold bangles are a common form of gold jewelry that we see quite often at Canada Gold. 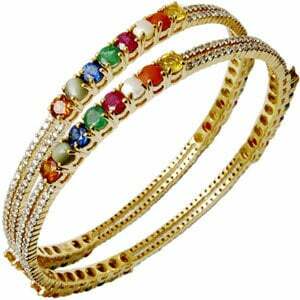 Lighter tennis bracelets and small chains are often made from 10k or 14k gold, while heavier bangles and East Indian gold bracelets and bangles are often seen in purities of 18k, 19k or even 22k gold. There are some types of Chinese gold bracelets that are even made from pure 24k gold, they are usually stamped with a 999. 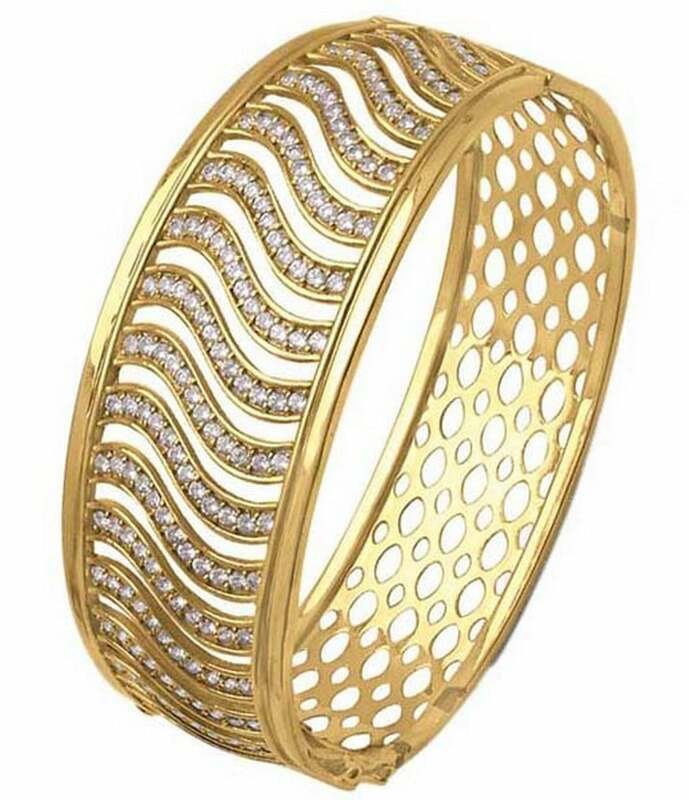 Remember that gold becomes very soft as it increases in purity, so pure gold bangles and bracelets, and even 22k gold will bend very easily. Gold chains are commonly worn by both men and women and are often a very significant source of gold because of their weight. 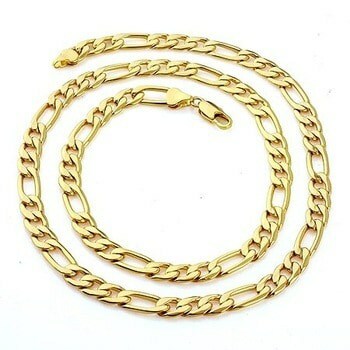 Some mens gold chains can weigh 200 grams or more, and while they are usually lower purities of gold such as 9k 10k or 14k, their weight can mean that a single chain could be worth thousands of dollars. These large heavy chains aren’t nearly as popular as they used to be, so cashing in a gold chain at today’s high gold price makes a great deal of sense if your gold chain is just sitting there collecting dust. 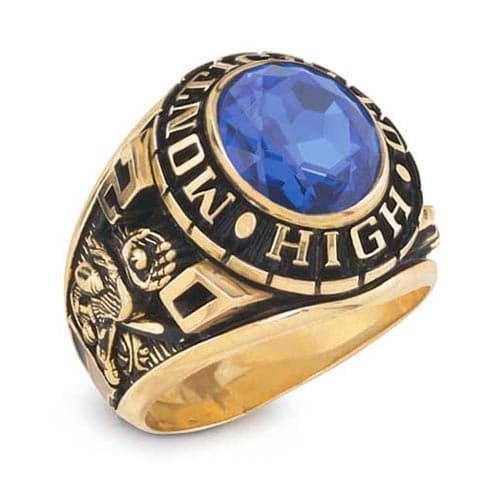 Up until fairly recently it was common to purchase or receive a gold ring upon graduation from high school, college or university. Times have changed and these big chunky rings aren’t the prized possessions they used to be, and due to their weight, gold class rings are often worth a fair bit of money. Like gold chains, class rings are usually lower purities of gold such as 9k, 10k or 14k gold, but their weight often adds up and they can be worth hundreds of dollars or more. The gemstones found in class rings are usually common coloured gems that don’t really have any market value. Our offices would typically remove these stones or deduct their weight before purchasing the ring. The following is a list of items stamps signifying items that are not solid gold, so items we are unable to purchase.